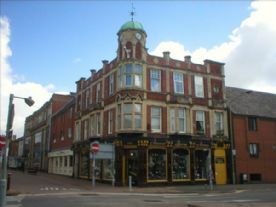 Two bedroom top floor apartment centrally located in Banbury town centre. The property is light and airy and benefits from high ceilings, double glazing, gas central heating and has been updated throughout. 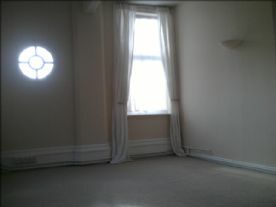 Close to shops, and all amenities, bus stop, bus and railway station are all within walking distance. 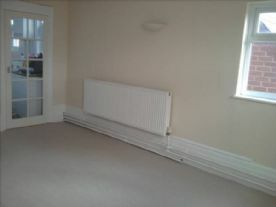 Long entrance hallway with laminate flooring, ceiling spotlights, painted in neutral colours, brand new circuit board including electrical testing throughout, radiator, cupboard space. Kitchen – range of fitted wall and base units, laminate flooring, freshly painted in neutral colour. 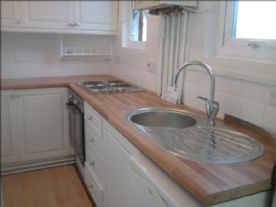 Recently fitted laminate worktop , sink/mixer taps, drainer and fitted electric oven and hob. Tiling to splash back areas. Two windows providing plenty of light. Combination boiler, radiator. Bathroom - newly fitted white suite comprising panelled bath with electric shower unit over, lino flooring. Tiled walls. Extractor. Radiator. 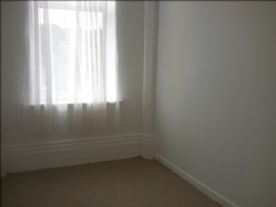 Within walking distance of train and bus station. There is no washing machine however there is a launderette very close by. The unique flat block contains just four apartments. The communal entrance / stairway is about to be recarpeted and redecorated.